I am looking to pursue a career in the biomedical field. I hope to become a biomedical scientist and study diseases in order to mitigate global health issues. Franklin High School is a public high school located in the south Seattle suburb of Mount Baker. Its student body consists of 1600 students. Franklin High School offers a wide variety of advanced classes for students to challenge themselves academically. There are many AP course options, including AP science classes. I became interested in Project Feed 1010 because I wanted to be part of a scientific research project that would contribute and give back to our community. The project was also interesting to me because I wanted to learn more about sustainable agriculture and how the practice could be applied to the real world. Thousands of people visit the Pacific Science Center every week and I want to introduce aquaponics to others so more people can be aware of the sustainability of aquaponics over other techniques of agricultural farming. I also want others to understand how valuable a role aquaponics could potentially play in their future communities as well. WHAT CURRENT CLUBS ARE AVAILABLE? WHAT TEACHERS/COURSES COULD INTEGRATE THIS PROJECT? WHEN IS THE DEADLINE TO START A NEW CLUB, ETC? The science teachers at my high school could integrate aquaponics into their curriculum. 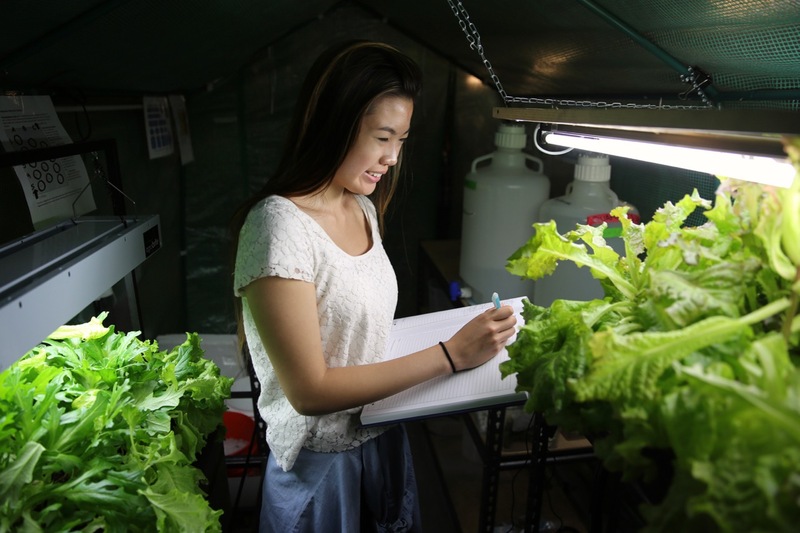 The biology teacher could use aquaponics as an example for teaching concepts to their class. Our school has a National Honors Society club and its members volunteer by visiting our school’s greenhouse to take care of the plants. There is also a gardening club that could adopt an aquaponic system. I will create pocket sciences, or handheld teaching props, at the Pacific Science Center and interpret aquaponics and food security to guests. I will also teach my fellow co-workers and supervisors at the Pacific Science Center about the pocket sciences so that they will be able to educate guests at the science center too. I will set up a small model of an aquaponic system and food security pocket science with the help of my supervisors at PSC and Project Feed 1010 supervisor. Hundreds of guests visit PSC everyday so a pocket science will be helpful in teaching more people about the concepts of aquaponics and food security.